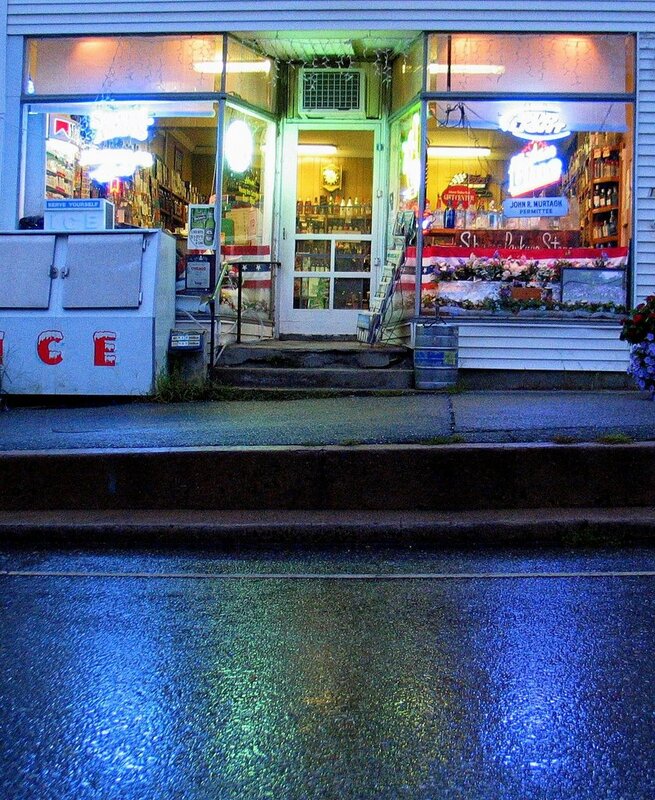 I was struck by the colors of the neon lights reflected on the pavement, as I drove home past Jack Murtagh's liquor store tonight. That is cool. I don't think I have ever driven by Jack's at night when it has been lit up like that. Great job! The colors are great, fantastic framing! 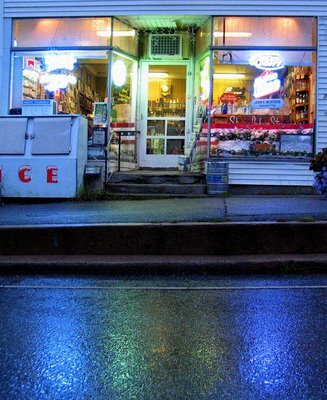 The neon and glow are a in good juxtaposition to the older, homey feel of the store.